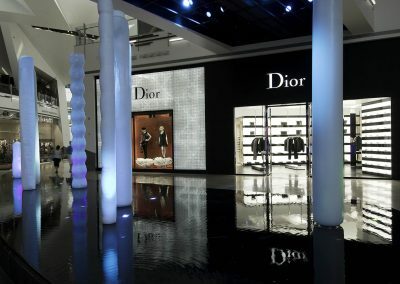 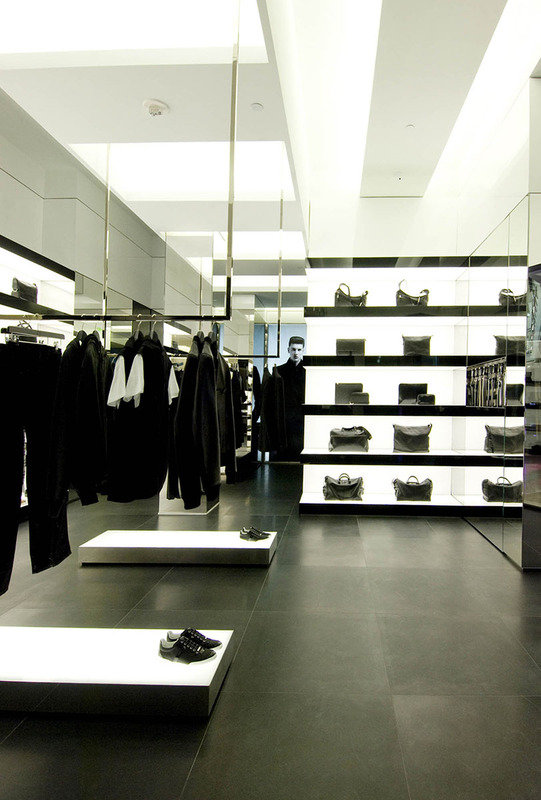 The Dior Homme stores use the stark contrast of high-gloss black on matte-white to carve out spaces for their refined masculine products. 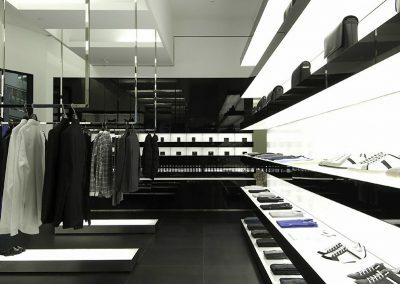 Lighting plays a leading role with the glowing floor and ceiling coves, internally-lit shelving, and luminous shoe podiums. 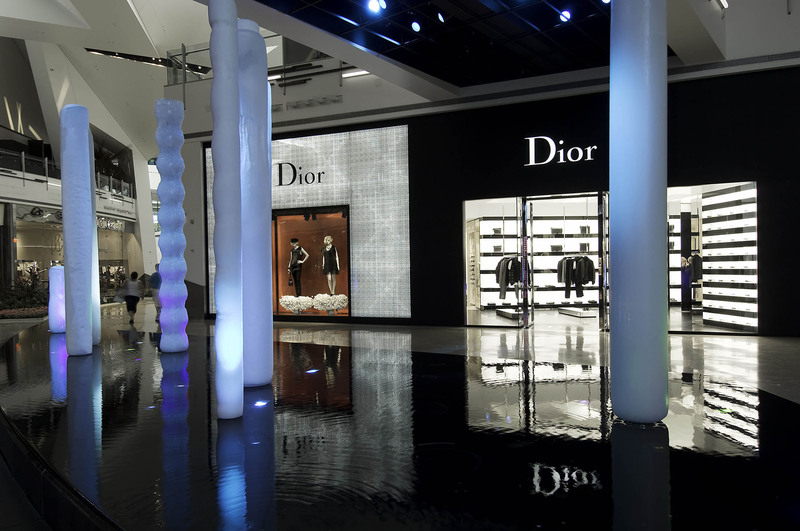 Select fitting rooms feature plaster sculptures by Daniel Arsham. 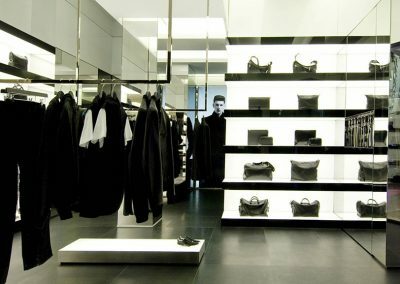 Color is used sparingly as accents in the French menswear line, causing the Rodeo Drive store to appear as an illusion of a black and white photograph. 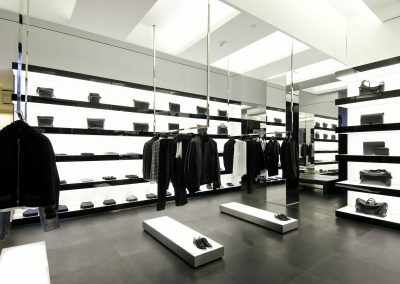 Gruen Associates is also the Architect for two additional stores in Las Vegas.